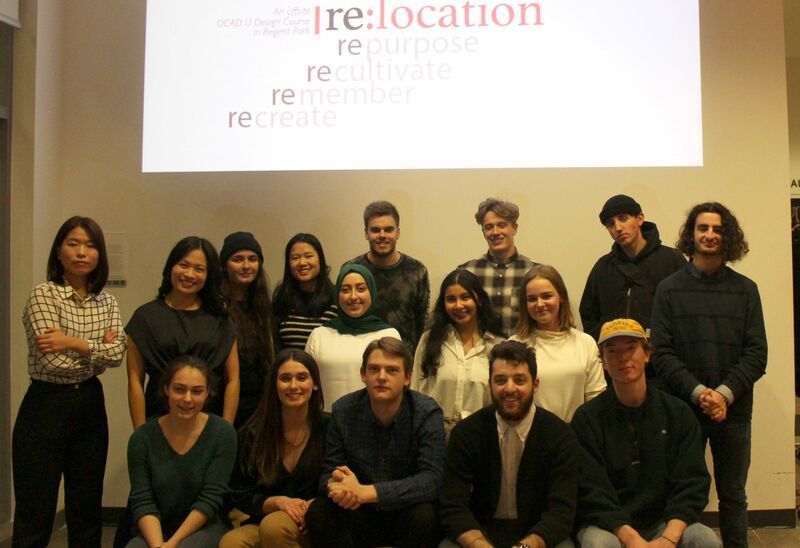 In a collaboration between OCAD University and the Toronto Centre for Community Learning and Development (TCCL&D), a second-year OCADU industrial design class taught by Ranee Lee was held offsite at the TCCL&D as a way to pilot an innovative participatory design framework. The course project tasked the students to design bespoke textile goods to be sewn and distributed by Regent Park Sewing Studio as part of their livelihood. The Sewing Studio, a social enterprise incubation program within TCCL&D, consisted of a few immigrant women sewers who, along with the students in the same classroom, learned and taught each other to create a truly participatory design experience. Creating an offsite classroom made for a real experiential learning studio course and through designing soft goods items, topics of locality, culture and identities were explored. In this new participatory learning framework, students went beyond the university’s walls and into the community where they researched and designed with/for the community. Only by approaching community differently, can we expect to achieve different results. OCAD University teamed up with Toronto Centre for Community Learning and Development (TCCL&D) to pilot an innovative, hands-on design course. Over a period of three months, a group of second-year industrial design students worked with members of the Regent Park Sewing Studio to design and create ‘made-to-order’ textile goods. 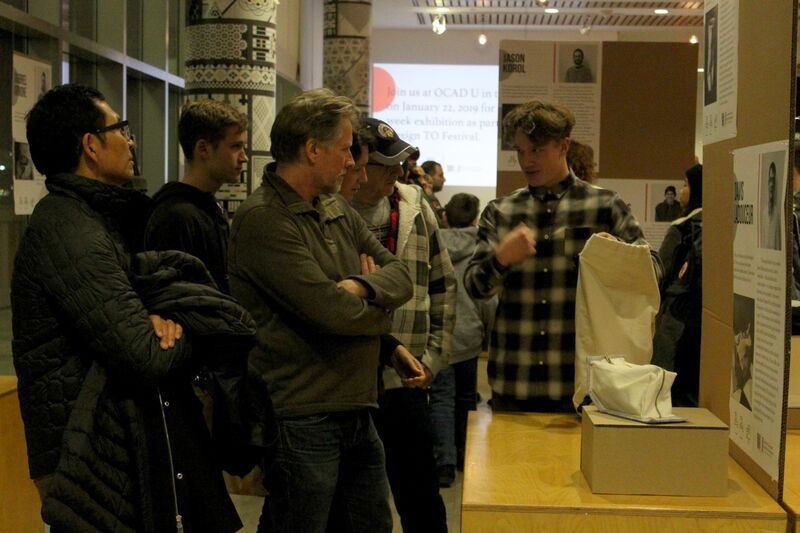 The finished products (soft goods like hats, bags and other wearables) were displayed and sold at the Re:Location exhibition at Daniels Spectrum, at Regent Park, on December 6. Ranee Lee, Assistant Professor, Faculty of Design, OCAD U, has led the Design for Social Change project in Regent Park for the last four years. Participants learned and taught each other, making it a truly participatory design experience. “Only by approaching community differently, can we expect to achieve different results,” said Lee. The Sewing Studio, a social enterprise incubation program at TCCL&D, includes a group of women from Bangladesh, Sri Lanka and Iran. An exhibit featuring Re:Location works will be on display during Toronto Design Week on January 22, 2019 at OCAD U (100 McCaul St., Great Hall), along with a Design for Health exhibit featuring the work of third-year students, organized by Ranee Lee. OCAD U Industrial Design students teamed up with Toronto Centre for Community Learning and Development (TCCL&D) to pilot an innovative, hands-on design course. The students worked with members of the Regent Park Sewing Studio to design and create ‘made-to-order’ textile goods. The finished products will be sold at the exhibition on Dec 6, 2018.